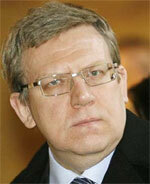 Devaluation of the ruble is over, says Kudrin, Russia's finance minister. The Kremlin rolled out a revised version of its economic crisis plan, extending additional credits to the beleaguered banking sector possibly at the expense of direct loans to the Russian corporate sector. Meanwhile, the ruble, which has lost a third of its value since last autumn, remained under heavy pressure, although the latest line in the sand drawn by the Central Bank of Russia (of 41 rubles to a US dollar and euro basket) appeared to be holding firm. Finance minister Alexei Kudrin said in mid-February that the “main stage” of currency devaluation was over, although he didn’t clarify whether he thought it would decline further. Much damage has already been done to Russia’s richest, as a local finance magazine reported that the number of Russian dollar-billionaires has halved over the past year. A human rights lawyer who was fighting the release on parole of a Russian military officer who had been convicted of killing a Chechen girl was shot in broad daylight in downtown Moscow, moments after holding a press conference on the issue. A journalist who had covered the issue was also shot dead. In a sharp departure from the Kremlin’s previous handling of political murders, president Dmitry Medvedev condemned the murders. In an effort to improve the Russian investment environment in the face of the global financial crisis, the government approved legislation to tighten insider-trading rules. Capital markets participants expressed doubt that the measures would be enforced anytime soon. In what may be a template for re-extending its geopolitical influence via economic means throughout the economically strapped former Soviet Union, Moscow is expected to provide a significant financial support package to Kyrgyzstan—apparently in exchange for the central Asian nation ending US use of a key airbase that supports military operations in Afghanistan. 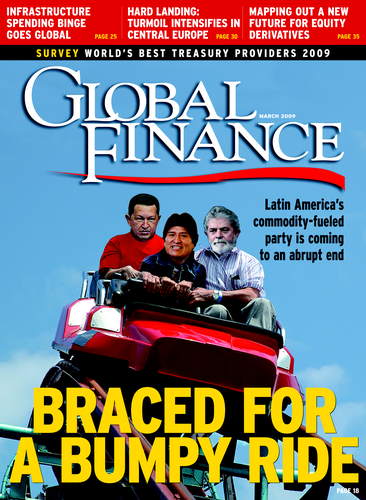 Ukraine, teetering on the edge of financial collapse, may also find itself having to accept a bailout from Russia.